A week of jumping every time the phone rings. Will we be woken in our sleep to be told to go to the ER? Will we have a good night's rest? Which one do I wish for more? What time of day is the best time of day for this crazy huge surgery? Will anyone have a panic attack before we can get them to the hospital (and you can go ahead and replace "anyone" with "Jason")? Before, when talking to people about transplants, or reading their stories, we never knew... We never never never knew what was actually involved in the process. How could we know? Maybe when it's all over we'll write a book or something (haha!)..... But not today, we're not done yet and we know there are still so many more hurdles before we can look back and say Holy moly. We lived through that? Jason's parents came when he was listed so they wouldn't miss out on all the action. We're happy to have their help and support. And for now we're distracting ourselves with moving into our apartment (because our things FINALLY ARRIVED!!!) and dominos and puzzles and Sports Center/the RNC and editing photos and laundry. And jumping off my chair every time the phone rings. i can't even imagine the way this must feel! we are anxiously waiting right there with you. also, i think you should definitely write a book! so many people i know tell me all the time that they came here and read all your posts and now love you. it's a selfish thought, but i think that you are going through this to teach the rest of us. you two are amazing and we love you! Hey ger! and jas :) You guys are so sweet. 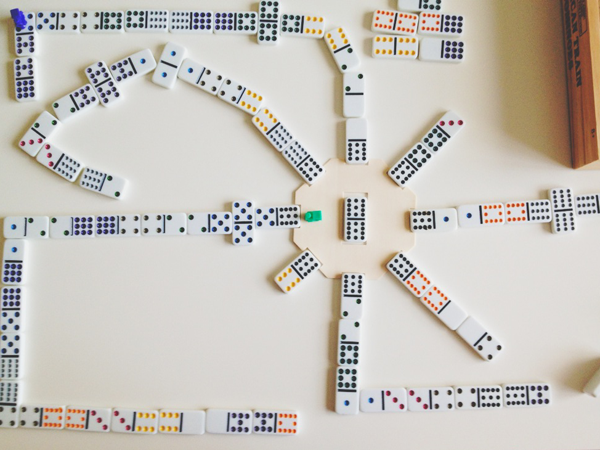 Love the dominoes. I hope you guys are doing awesome. We are saying our daily's for you and crossing our fingers for extra luck. Hope you had an awesome birthday!! Miss you and yous floral pants. I would be going crazy! I'm not a fan of waiting. :) I'm glad you're getting settled and I think you'd write an awesome book so no joke... you should write one! Maybe we will all learn patience.....I think you guys are getting real good at it, by the way! Hang in there Jason! Your perfect lungs will come and Heavenly Father will help you through it. Have you met Danyell at rehab yet? 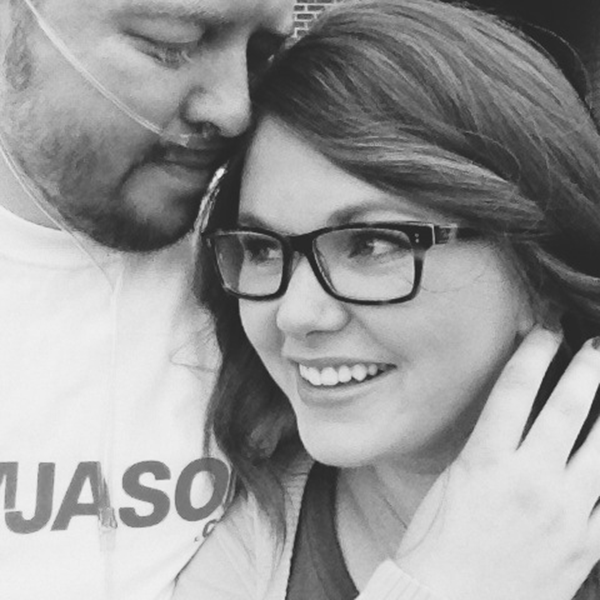 She has CF and is just getting back to Center For Living after her transplant. You guys are close to the same age. There are great people there at Duke! coming from an idiot here that knows nothing about transplants...what is the expected waiting time? I know it all has to do with a match, etc.et...but did they give you any idea at all? Shelly: Not a silly question at all. The wait time is different at every transplant center—here at Duke the average this year is 17 days (compared to 17 months at USC makes Duke pretty awesome). Each patient is given a score when listed and Jason's is higher than average which means he should be able to be called before the average time. Thinking about you both! Praying things go well and that you get a call soon! You two are amazing! Geri you amaze me more and more every time I read a post or hear from Cassie about what you guys have going on. I have never met you but I think you rock!